Imagine a world full of abundance. What would it look like? Let’s take a ride around the planet and see what we see. Oh, is anyone afraid of flying? No, ok great!!!! I will lead you on an adventure to see what this beautiful planet might look like. We start off flying from the northeast portion of the USA heading up towards Maine, over the rural section of NY, through the Berkshires and we see boundless forests full of spruce trees and other types of vegetation growing limitlessly. Once we hit Maine, we head out to sea and as we cross the Atlantic Ocean, we look down with our hyper 20/20 vision and see schools of fish, some of which are pods of porpoises jumping out of the water, whales spouting water from their blowholes, the sheen from the swordfish fins gleaming and the sunlight casts a rainbow that is breathtaking. You start to head up north and see across the deserts of the Middle East. You see the camels traveling sure-footedly across the sand and watch the wind gather and lift the sand off the dunes like a vortex into the air. You witness people sitting and talking in cafes: men and women together sharing ideas and philosophies on their magnificent civilization and enjoying the history that they created together. They are designing a peaceful course, full of equanimity and expansiveness for a boundless future. You take a hard right turn and head down towards the continent of Africa, where you see thatched roofs and people working in harmonious tribal communities as the irrigation system brings plentiful water to their towns. People are prospering and nutrition is abundant. Children are smiling and parents have the look of serenity on their faces. Going further east, you notice the air is clear and energy is drawn from solar and other sustainable resources. People are experiencing the prosperity that they desire on their own level. The spirituality of eastern practices has permeated the entire globe in a variety of manners. The world is a magnificent place and we create what we desire. Our mission, if we choose to see it, is to perceive that we are capable of creating our own reality. We have the choice to be empowered and allow all that we desire to flow through us and manifest it in our lives. The venture is to narrow that down to our each individual wishes. I like that I am growing and developing my skills. I like that I am growing and resting and working. I like the idea of co-creating my personal possibilities and sharing them with others in a way that will support their growth. I enjoy my role in the larger part of things. I like the idea of my ego being erased, I like the idea of feeling so worthy of my contribution that, whatever I do, I feel a sense of satisfaction in my growth and expansion in that moment. I like that my relationships are full and rich and have depth. I enjoy playing a role in another person’s joy by being joyful myself. I celebrate my significance in the evolution of humanity. I am growing in my knowingness that I matter. As I know this more and more, I expand beyond any boundaries imaginable!!!!! I enjoy feeling an overall sense of well-being in my body. I celebrate myself each and every day. I am growing in my awareness that every cell in my body has an intelligence and they are working harmoniously together to support my sense of well-being. I have a deeper understanding and acceptance that the DNA in my body is sharing information for the whole of who I am. I like the idea that I am in a state of healing…that I am discovering the meaningfulness of this experience. I like the idea that I am not my body and I am much more than these flesh and bones. I like the idea that I can see myself as a sentient being and have much to offer the world around me. I enjoy that I am a contributor in an unconventional manner and that through my contribution; I am forging a new path for humanity. I am a power of example replicating love…love for myself first and foremost, love for others, love for things, love for ideas and love for change. I appreciate the little things that I know are not so little because I am getting more and more in touch with the magnificence of them such as the sun rising, the currents of the ocean, the birds singing, the snow flakes, the still of the night, the energy I feel between myself and another being. You take a deep breath in and you can open your eyes now. This is your reality: A reality of abundance. Practice the principles of Enlightenment. Practice listening to your inner being. Listen to your bodily sensations, watch the messages in your dreams, feel the direction your intuition takes you, interpret all things as a metaphor, be astounded as the synchronicities unfold in perfect placement for your personal creative venture. 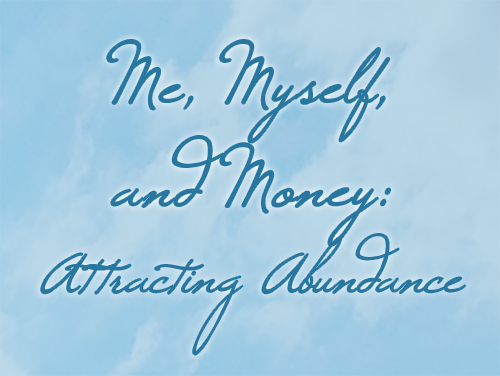 Abundance is not a happenstance; it is your birthright and your personal co-creation with your energetic guides. You have shifted your perspective from one of an ABSOLUTE Paradigm to one of an ABUNDANT Paradigm. This is the energy of the 21st Century. Moving from “2” ( separation) into “1” (holistic). You are following the ‘pull” within you. Your life magnetizes in what you desire. The push and action centric philosophy of the 20th century is subsiding and the emergence of your heartfelt choices are emerging. Life is organized around a natural ebb and flow and you are simply riding the wave. You gravitate naturally to what you know intuitively is the next “right” thing. Your sense of purpose unfolds magically and you feel ” All is well in the world”. This is what LIFE is all about. This entry was posted in Blog on March 29, 2015 by darrynsilver.